I'll have my Prime Silver Lake Spanish, with a twist, please! 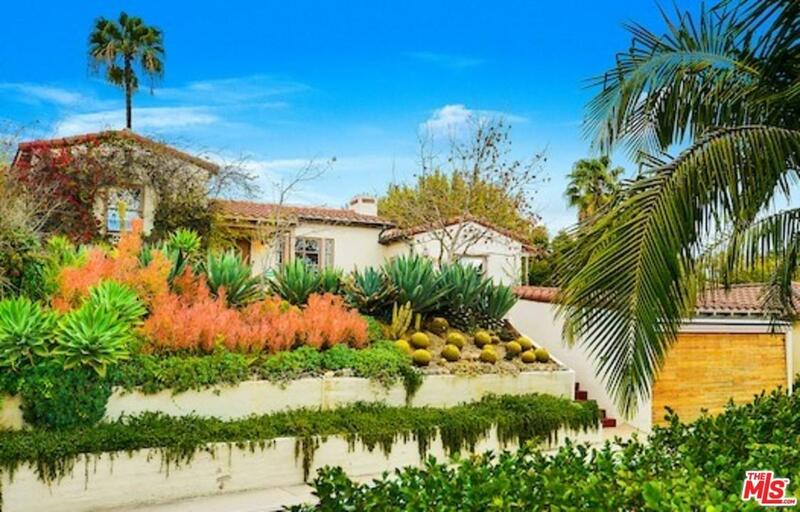 Set above the street for privacy, this charming Casa exudes character and warmth, and is entered through a private courtyard sequestered behind a slope of succulents. A sunny living room with classic fireplace steps down to the definitive Barbara Bestor designed kitchen, with its large center island and wealth of counter-tops and cabinetry. The formal dining area is warmed by a second fireplace, and features a plethora of built-ins. In true "split-level" style, steps up from the main level lead to 2 family bedrooms, an original bath with black Carrara/pigmented glass accents; and, down the hall?a modern, high-ceiling-ed master suite which rests at an angle to the rest of the home, allowing for tall windows on 3 sides. A separate office/studio is accessed from the HUGE rear yard, which has ample room for a pool, and more. Views. Great indoor/outdoor flow. Hardwood floors. 2-car garage with loft storage. 2-zone heat and air. Sold by Corina Danckwerts BRE#00896009 of Keller Williams Realty Los Feliz. Listing provided courtesy of Isaac Fast DRE#00896009 of Coldwell Banker Residential Brokerage.